Our Little Bit of Sunshine: 4 days of parties!!! 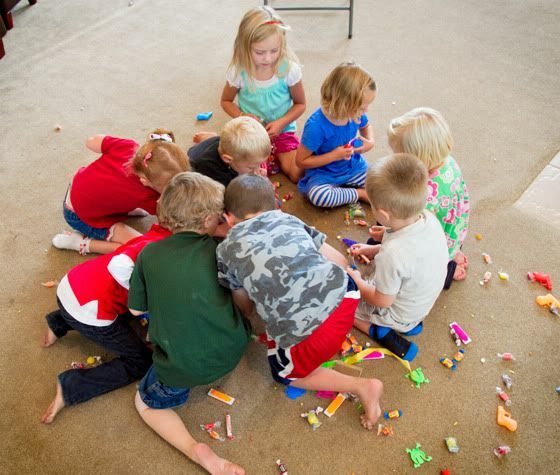 Mckay's birthday was quite the event around here because we celebrated it for 4-days! Craig was gone for his actual birthday, but I still did some fun stuff with Mckay. 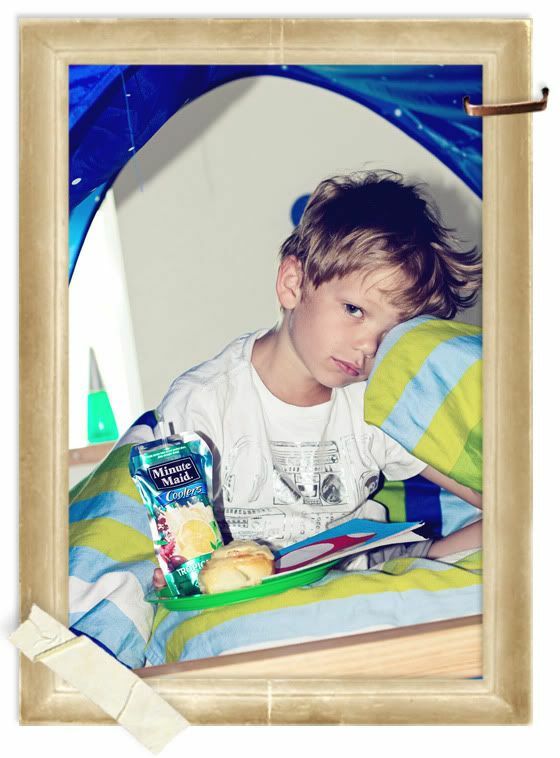 He had breakfast in bed and then headed off to school. So they had Wendy's and played at the park for a couple hours. 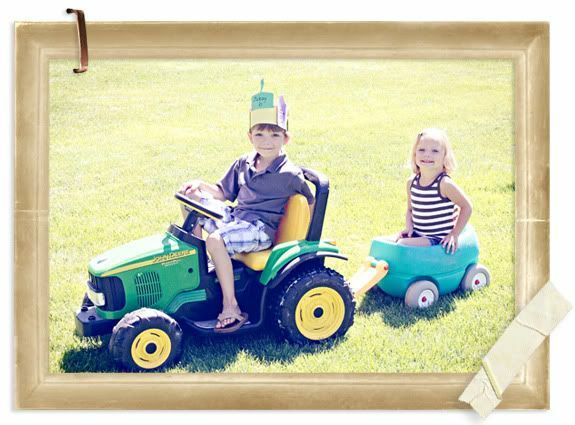 That Tractor has enough power to pull Kylin and still go pretty fast! Then, for dinner he chose Olive Garden and so I took him and Ky while Sheila watched the pip. 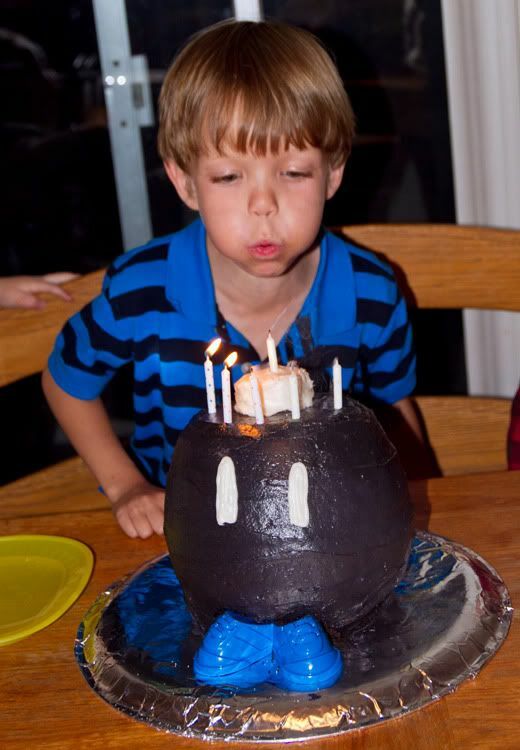 I Can't believe my little boy turned 6...I love you so much Mckay!!! On Saturday we did a Friends Mario Party. He LOVES Mario right now. 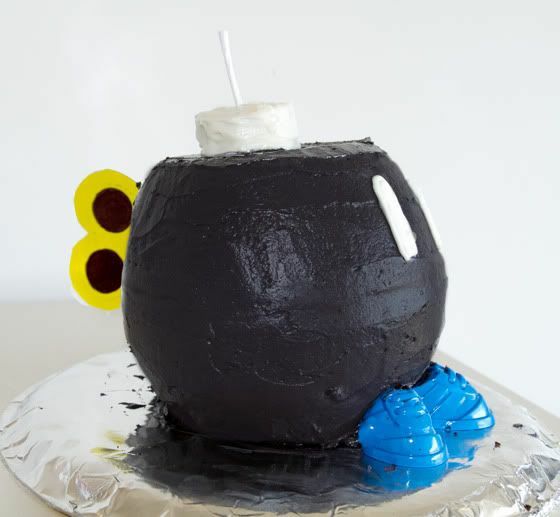 Kinda tuff to find decorations for it, but I tried to be creative. Any one who knows me, knows that I love to throw parties :) He had a BLAST, so it made all the work so worth it. 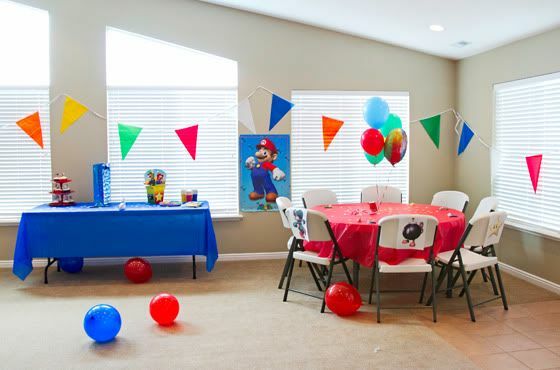 Each of the chairs had pictures of the different Mario characters and the kids had so much fun picking who they wanted on their chair. We blew up about 20 balloons to have around the room for the kids to play with too. 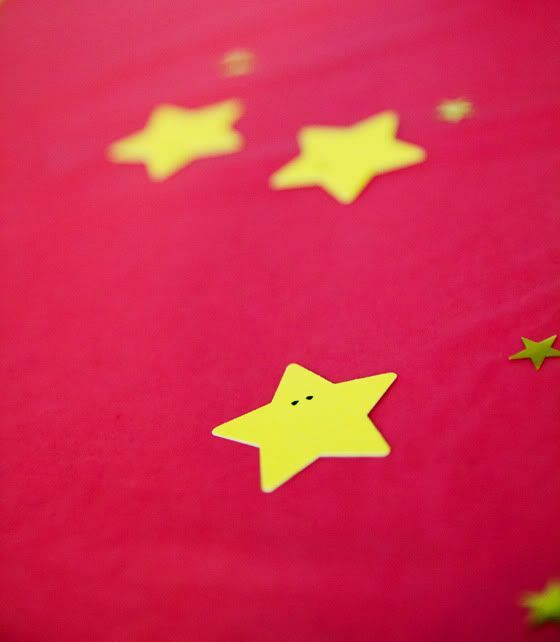 I punched out over a hundred stars and drew little eyes on them to sprinkle on the tables. 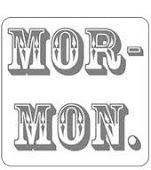 I found some plates and few decorations online thank goodness. 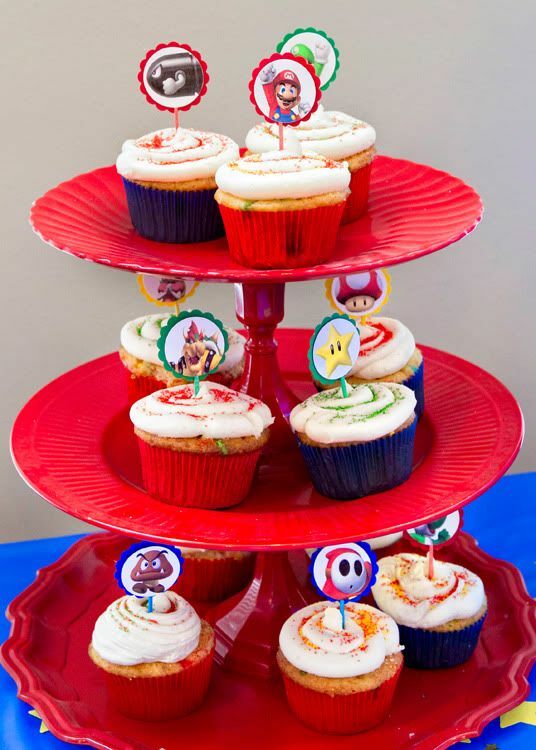 I made cupcakes with little mario toppers, so they could each pick a character. 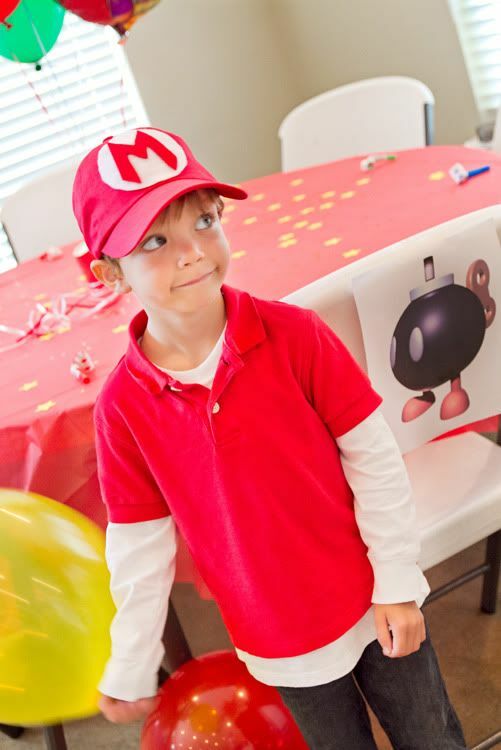 My friend Elaine made Mckay and her son these cute Mario hats. He LOVED it. 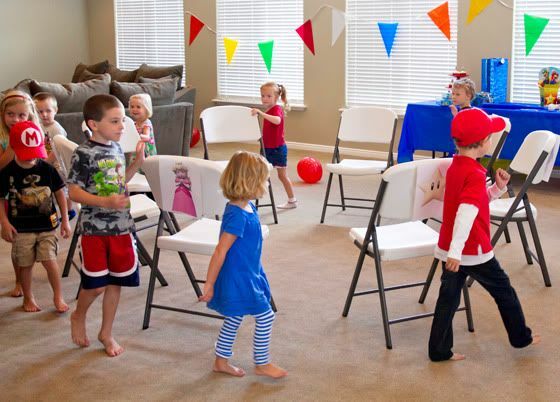 They played musical chairs to mario music and each of the chairs had the characters on it to make it a little more fun. They also played "Pin the star on the Mario". 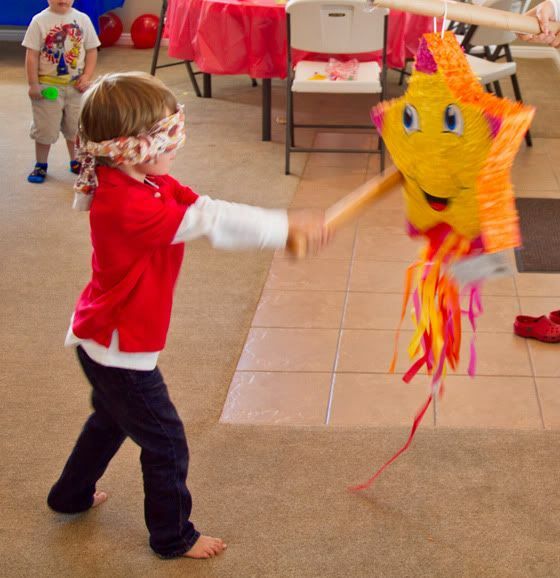 Mckay always wants a pinate at his parties, I didn't know how I was going to find a Mario pinate, but then I saw this star! He hit it so hard this year it scared me....that is my hand holding the stick. hehe. On Sunday we went to the howe's and had a party there for him and has a blast! 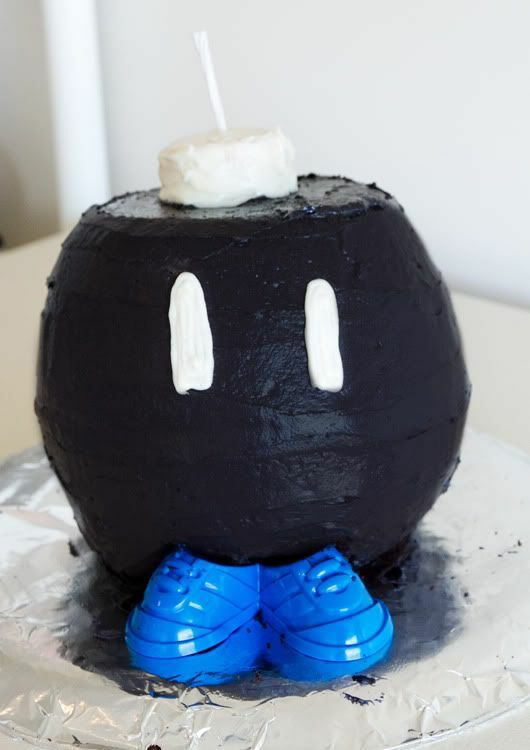 I made him his Mario "Bomb-it" cake that he picked. I didn't have the sports ball pan, so I just baked the cake in 2 pirex bowls and stuck them together with frosting. He loved it :) Complete even with the windup in the back thanks to Craig. Those are Mr. Potato head feet and a frosted cupcake on top. One year older and wiser too...happy Birthday to you Mckay! nice score on the tractor! Happy Birthday to McKay! How fun! 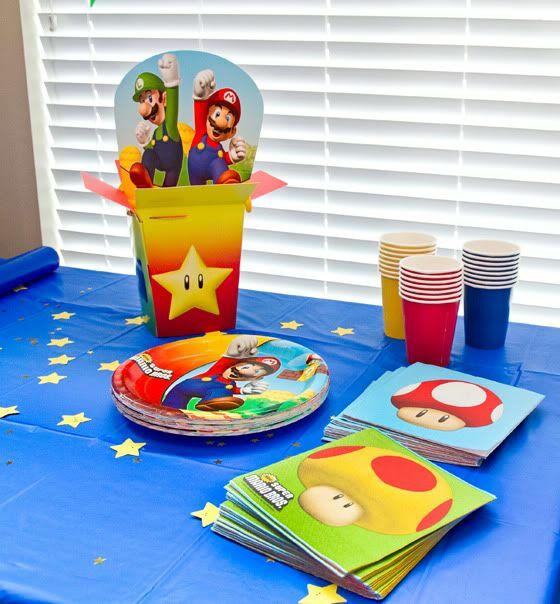 The Mario party looks super cute. 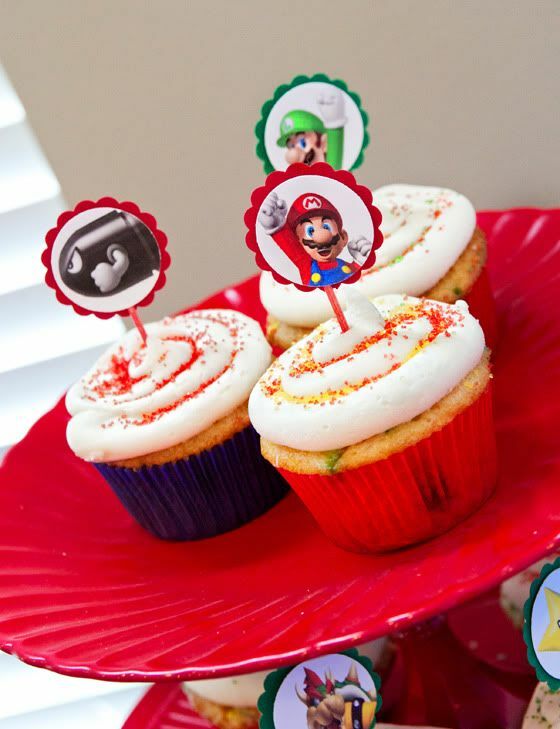 great job super mom :) So was the Mario party at your house? What a fun birthday he had. You did a great job decorating everything. First off...That tractor was $10 bucks?! WOW, that is the find of the year!! Seriously!!!! Second...I think you love planning parties as much as I do :) You really did such a good job and thought of every little detail! 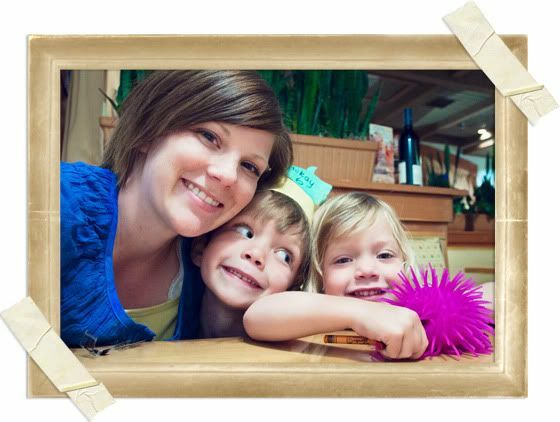 Third...those little kiddos are lucky to have such a fun and creative mom! Okay Kelly. You can stop with your awesomeness anytime now. 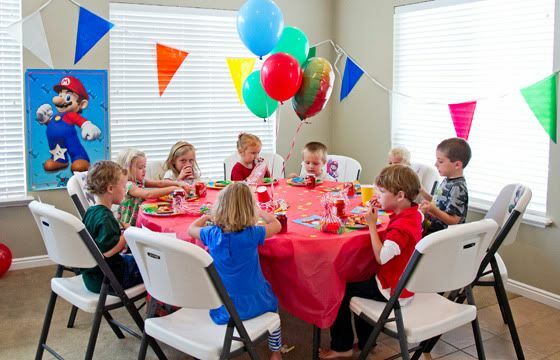 That party is so stinkin cute! 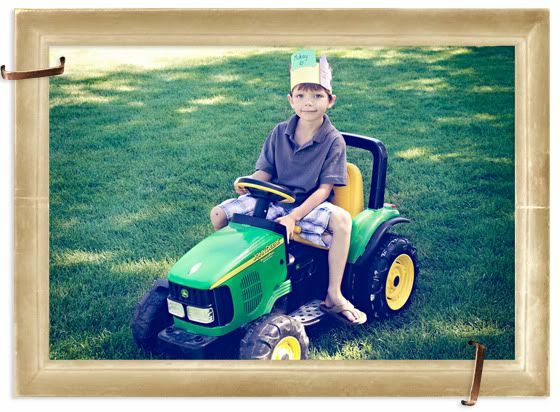 And the price on that tractor is INSANELY awesome! Go you! 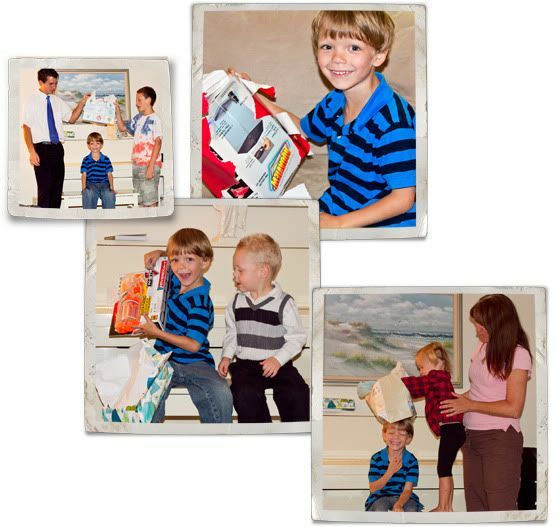 I love the last picture - too cute! happy birthday little man! 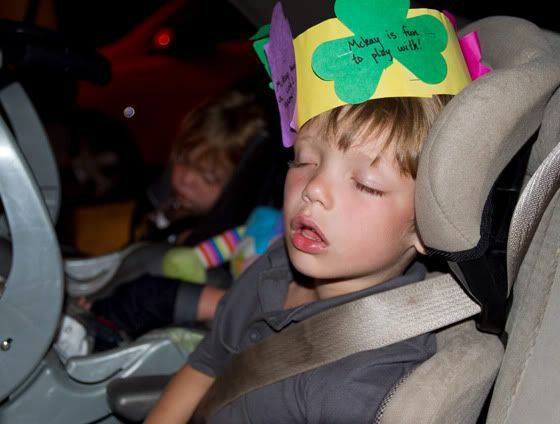 i love the party idea..so cute and he looks like he was in heaven...oh doing parties for little kids is so much fun! wow-there you go showing off your amazingness again. your kids are so lucky to have you as their mom. awesome tractor. how much was the battery for it?